Cruising on the Disney Dream: I've been reluctant to try a cruise, but another member of my family really wanted to do this. After much deliberation and planning, we decided to go for it- we set sail on the Disney Dream this week! We'll be staying onsite at WDW a few days before and after the cruise, so we'll (hopefully) be able to experience the best of both worlds. Tropical running: If all goes as planned, I'll be running my first 5K in the tropics! I plan to run the Castaway Cay 5K during our trip. I'm very nervous about it, beacuse I'm not quite as trained as I would like to be, and I tend not to run well in the heat. But how often do you get the chance to run a race on a private island? I have to give it a whirl. The Wave: Every visit, I try to go to at least one restaurant I've never tried before. This time it's The Wave. We'll be going there for dinner the day we're off the cruise, so hopefully we won't still be in cruise-food-coma mode. Family firsts: OK, maybe these shouldn't count because they're not firsts for me, but I'm very excited to be sharing a few things that will be firsts for my family. For starters: our first stay at Animal Kingdom Lodge together. I stayed here with my sister during my last runDisney weekend, and loved it so much I changed our family trip to this resort. I know they're going to love it. Also new to them will be all of New Fantasyland. This will be their first visit since it was completed, and I can't wait for them to see the whole area, and the ride the Seven Dwarfs Mine Train. There will also be some lasts on this trip- but that's a post for another time. Lucky you - it sounds like this was an amazing trip. 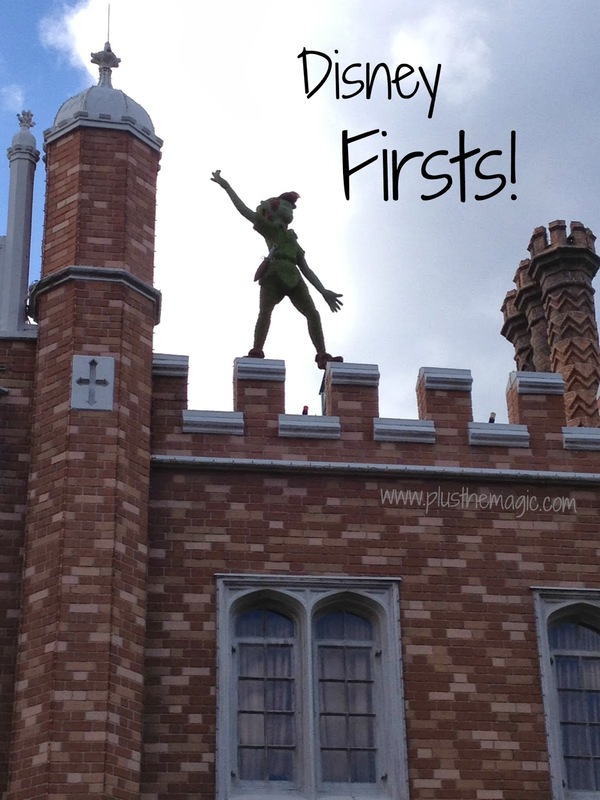 So many firsts! One of the best parts of Disney is that there is always something new to experience. I can't wait to see Castaway Cay myself.